Posted On May 12, 2018 by Team iCynosure. Today I want to introduce you to a Monthly Beauty Subscription box called the GloBox. 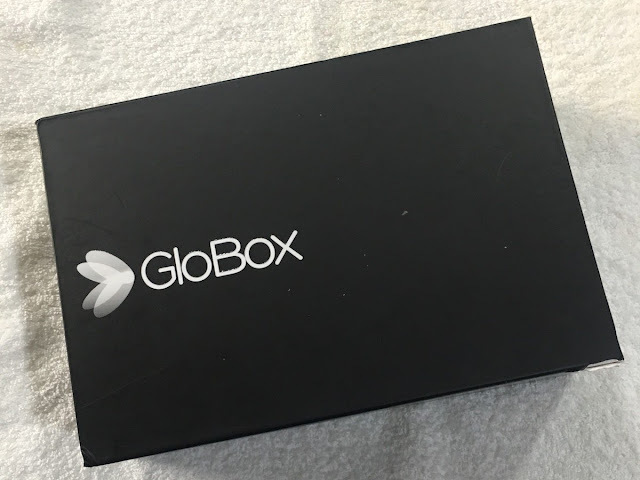 What makes the GloBox different from its competitors is a unique concept, BYOB - Build Your Own Box, that allows subscribers to choose makeup and skincare products that are specific to their individual needs and preferences. Sounds perfect, isn't it? Wait there is more, the price of the monthly GloBox is INR 999. And it sure gets better. Subscribers can opt for a 3-6-12 month plan and make further savings on the costs. That sure makes it one of the must-subscribe to products for all our beauty needs today. I opted for the May Box, filled in a skincare and makeup survey and voila the box arrived in 2 working days. The box contained a welcome note, referral coupons, 5-full sized products and a few knick-knacks. The 3 in 1 mask contains Silk Protein, which helps to repair, renew, revitalise, lift and firm the skin and improves dull and damaged skin. The protein and EGF essence ensures a clear and radiant skin. The retail price of the product is INR 250. A powder pack infused with the goodness of multani mitt, sandalwood, turmeric, saffron and liquorice; promising to brighten and add a refreshing glow to the skin. The 100gm pack retails for INR 599. A highly pigmented, shimmer eyeshadow helps to create stunning party looks. The metallic eyeshadow effect will add sparkle to the eyes emphasising a daring and adventurous effect. The 5g product is available for INR 395. The water-based, smudge and bulge proof Precision Liquid Eyeliner is a weightless formulation to wing the lashes. The water-proof formulation ensures a glossy finish. The 2.5ml product retails for INR 499. A cream-based glitter powder that helps you achieve a glam eye make up look without any mess. The water-resistant formula can be simply dabbed on to the skin to achieve the desired effect. An 8g tub is available for INR 300. 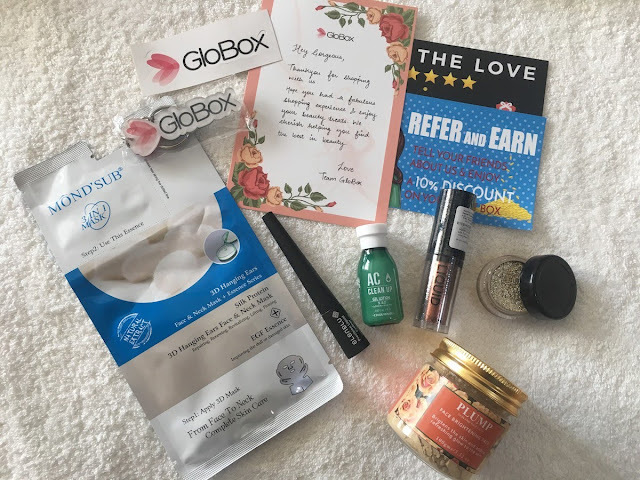 I've recently started warming up to subscription boxes, and Globox stood out for its BYOB concept. Personally, I think the box is a great investment, especially for the price point, brand composition and products offered. I loved the fact that the May box is the balance between makeup and skincare products. To celebrate Mothers Day, GloBox is running a Mother's Day Campaign - #GloBoxSuperMom to honour the most influential superhero in our lives, our SuperMoms. Share your Super Mom moments with us via a video and stand a chance to win a GloBox and movie tickets. To know more about the contest rules head to https://goo.gl/9PtuU6.